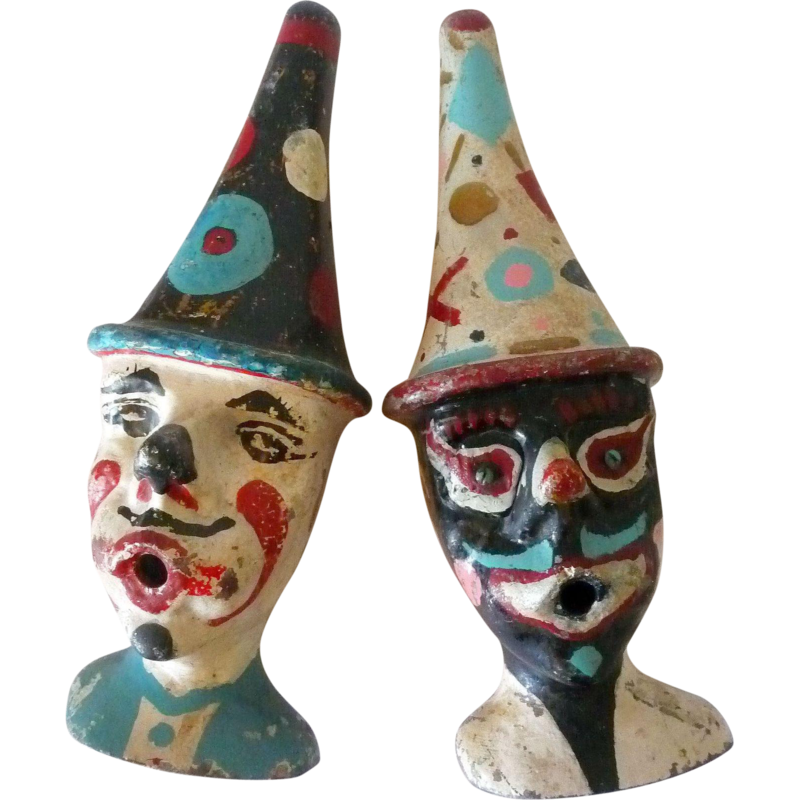 Made of cast zinc, these two clown heads would have been attached to a hose and then spouted water from their mouths. 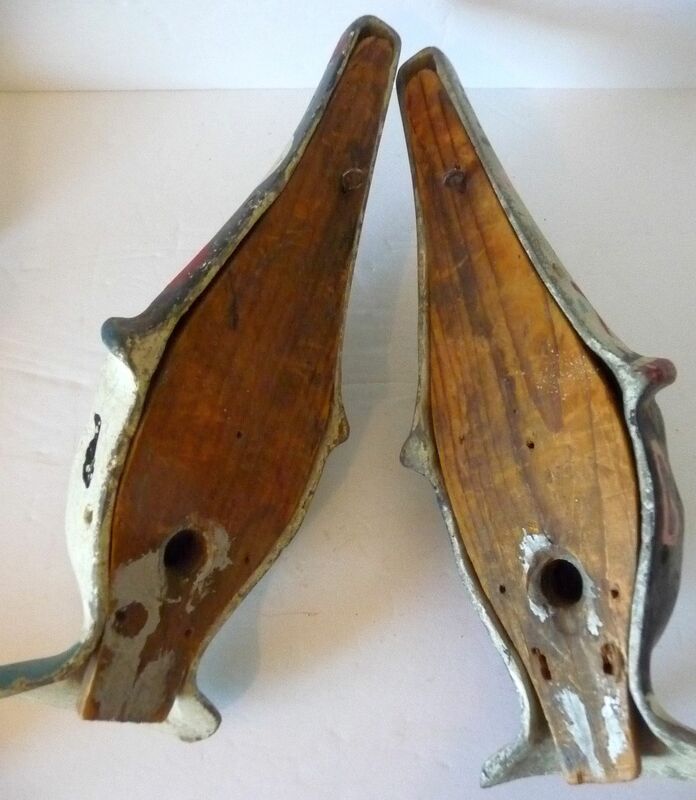 They are probably 1920's-19230's. Zinc's superior casting fluidity, strength and stiffness permits the design of thin wall sections for reduced weight and material cost savings as less material is required. It also does not rust. They are not full bodied. 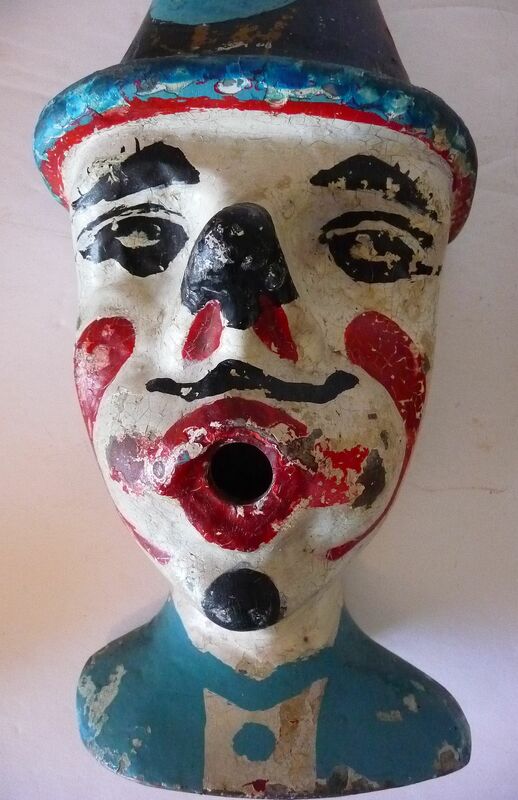 The back of each clown has a wooden insert and a hook for hanging. 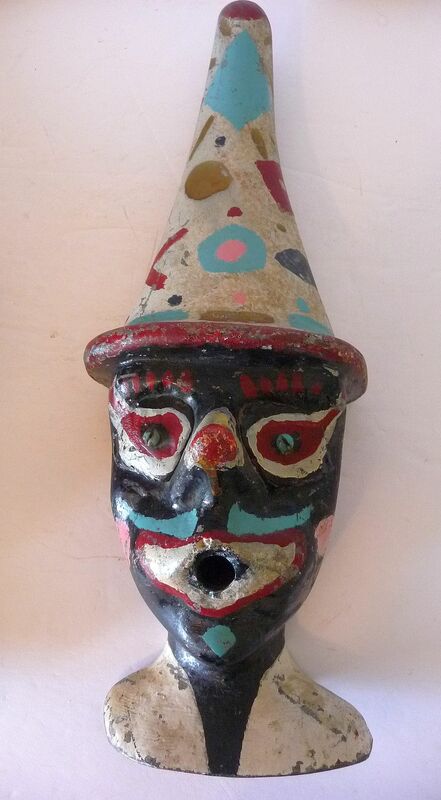 The clown with the black face has iron eyes (screws). 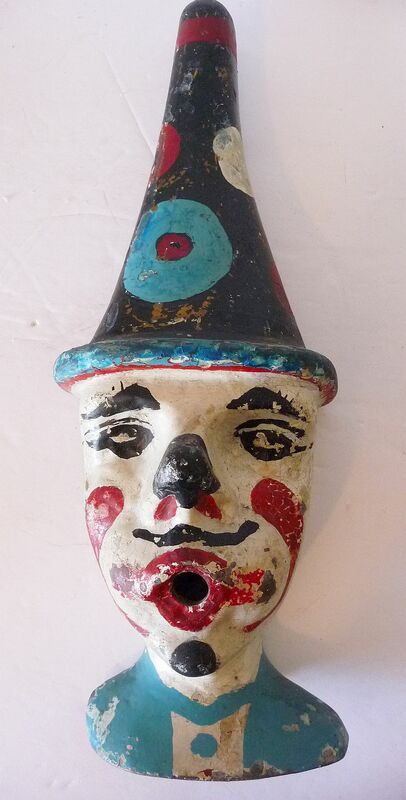 A magnet does not stick to the clowns only to those eyes. 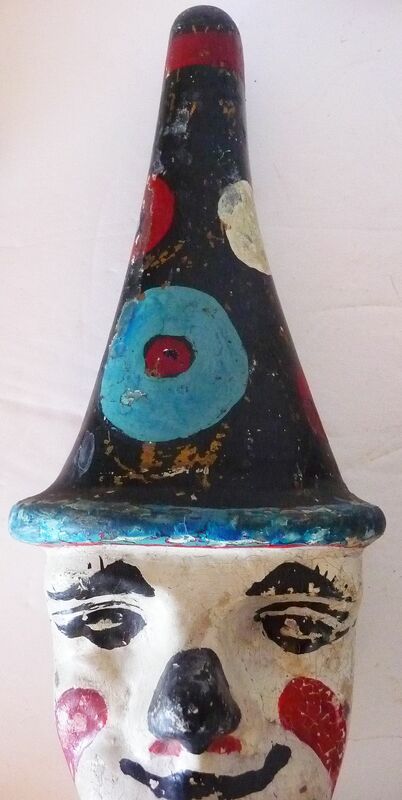 Condition: As found. 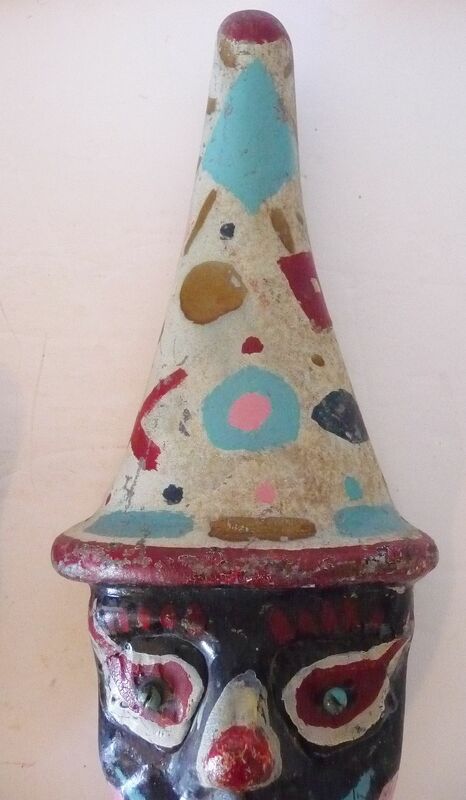 Wear to the paint from age and use (see photos). There is no evidence of damage or repairs. Approximate Dimensions: Overall length 15". At the base of the hat each measures 5 1/2" across and 3 1/2" high.